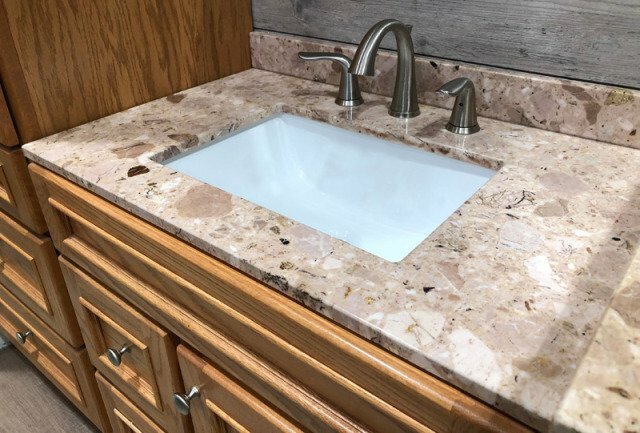 When you're decorating your bathroom, picking the right vanity is one of the most important decisions that you’ll have to make. It becomes the centrepiece of the bathroom and you’ll build everything else around it so if you don’t pick right, it could ruin the look of the entire bathroom. A lot of people think that it’s going to be easy to pick a vanity because they’re all pretty much the same but that’s not the case at all. There are actually a lot of different things that you need to consider to help you pick the right one. If you’re about to start designing a new bathroom, here are some great tips for choosing the right vanity. This is so important because if you’re working with a small bathroom and you put a big vanity in there, it’s going to take up all of the space and the room will feel crowded. You need to consider the space that you’ve got and work out what kind of vanity you want from there, and remember that you still need space for everything else. If your bathroom is quite small, it’s best to go for a corner vanity because it frees up a lot of space. Rounded corners are best in a small room as well because sharp corners take up more space and they’re more of a hazard. What Kind Of Shower Will You Have? The main thing that the vanity needs to fit around is the shower, so you need to consider what kind of shower you’re going to put in. 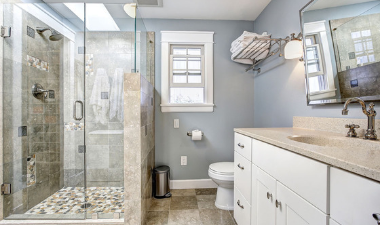 If you’re going to go for a separate walk in shower in another room, that gives you a lot more space to play with and you can put a large vanity in. But if you’re going for a shower in the same room, you’ll have to choose the size of the vanity accordingly. 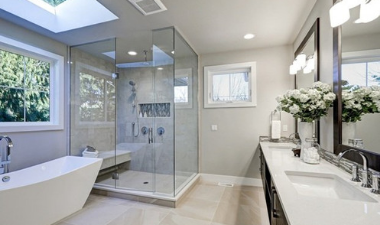 If you want a bath/shower combo, that doesn’t leave you a huge amount of room for the vanity so a small corner one might be best. But if you’re going to have a smaller corner shower without a bath, then you’ve got more freedom to use more space for the vanity. If you can answer these 3 questions, you’ll find it a lot easier to pick the perfect vanity for your bathroom.